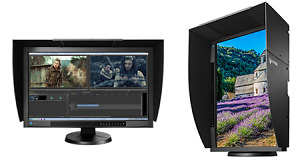 Why Choose The EIZO CG277 Monitor? Thinking of purchasing a new monitor? Here's why the EIZO CG277 could be the perfect display for you. Daniel Bell shows you how to update your web browser. Printer Myths Explained, guest article by printing expert Mike MacNamee on how to get the best from your printer. How to use your iPad 2 as a wireless monitor with the Air Display app. Is The iPad 2 The Ultimate Photographer's Tool? Is the iPad 2 the best tool a travelling photographer could have? David Clapp finds out. Learn how you can scan your old slides without a scanner. We here at ePHOTOzine get alot of questions on how to speed up web browsing, so we have decided to put a little guide together to help you all out! Peter Bargh looks at the various options for photographers.